Time for a fresh palette of challenge colors from the Play Date Cafe! This week we've got Mojito, Peony and Sand - soft, soft, soft! It screams 'vintage' to me. So, I broke out my new Melissa Frances 5th Avenue papers, which are perfect, though the newsprint paper looks rather dark in a photo. It looks much softer in person. Used my new Spellbinders Labels Thirteen and a LaBlanche English Roses stamp that I picked up on sale through JoAnn.com a few weeks ago. Can you see the roses stamped on the die cut? I sponged on Sahara Sand while the die was still in place, removed the die, and stamped the roses in the same ink for a tone-on-tone look. 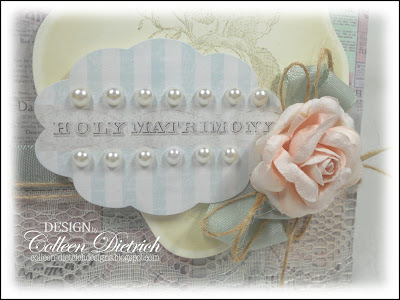 The "Holy Matrimony" die cut is really a Melissa Frances sticker that I dusted with baby powder (to remove stickiness), then attached to the Spellbinders panel with dimensionals. I added pearls, too (of COURSE!). This paper rose, from Mark's Finest Papers, is the perfect shade for the challenge. The surrounding bows are all smoke-and-mirrors, however. I can tie my shoe REALLY well, but I just don't have the knack to do good bows on cards. I cut a little bit of ribbon, glued the ends together, then tucked it beneath the flower with some more craft glue. Multiply that times 9, and you have what appear to be some really nice bows! Come and play with us this week: show us your creations, no matter what style you choose! Check out the details HERE at The Play Date Cafe, and you can see the Design Team's samples, too. 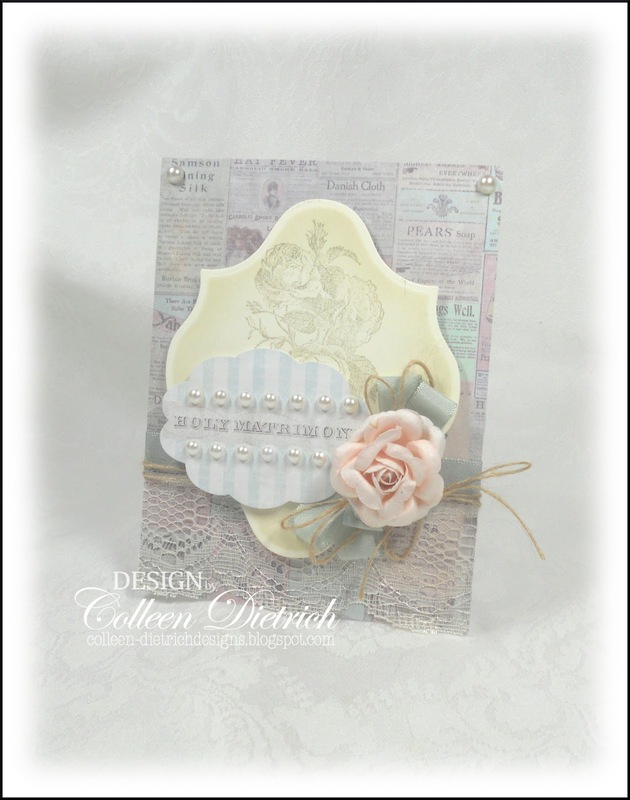 Other: paper flower - Mark's Finest Papers; pearls - Queen & Co.
Another beauty Colleen! I love those colors!! I love these soft subtle colors and you executed them so nicely! 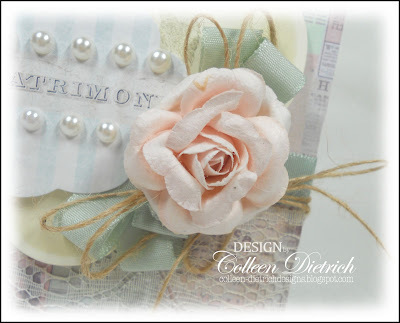 Love those pearls and that paper rose is just gorgeous! Such soft and dreamy colors. Looks amazing my friend..
Lovely soft colours, Colleen. Love the pearls around the sentiment. OH my oh my Colleen another jaw dropper made by you and I love it! Love the softness of colors. The rose is perfect and I can almost smell it. Pretty 'bow', too. So beautiful. I really love the pearls and that spellbinders die cut is one of my favorite. You have used it to perfection. Clever girl, you!! I picked up so many great tips from you in this post. You created a lovely card with those beautiful soft colors. Your vintage creations are always so much fun to look at!! Oh so beautiful! Gorgeous paper, and love that peachy rose. What a beauty! So serene it has a heavenly quality to it! 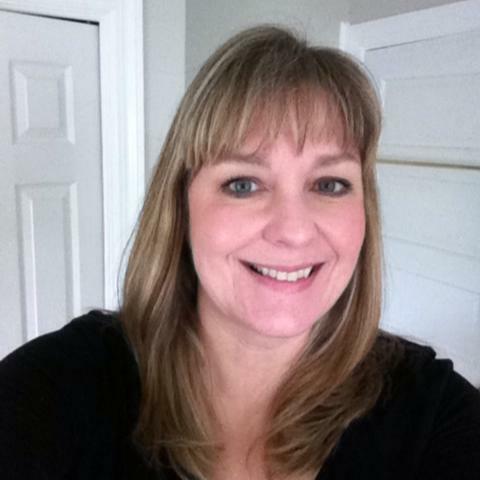 This is a beauty Colleen. I love how you did the sticker, so creative and so so elegant, just divine! So soft and pretty! Colleen! Love the vintage feel too! Gorgeous flower! Such a beuatiful card, love the pearls!! I love the paper, lace and beautiful rose! The subtle stamping is perfect. Such a pretty, feminine card. Absolutely stunning, Col! LOVE all those romantic elements! LOVE the soft newsprint paper Colleen! What a delicate feminine card ~ PRETTY!! I went wedding and roses, too! This is amazing--the lines of pearls are GORGEOUS! And the twine is a fabulous earthy touch!!! Oh, so wonderfully feminine! 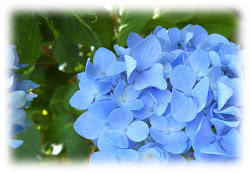 Love that beautiful flower...how gorgeous!